Prime Minister Narender Modi has shown his utmost desperation in wining Haryana elections. He knows fully well that Sirsa dera head Gurmit Ram Rahim is neck deep drowned in criminal cases of about half a dozen murders, rapes and making impotent a horde of devotee sadhus. Modi approached the dera for help in elections and what else the head would need, he showed extreme eagerness to help the ruling BJP. We feel this is sufficient to prove how Modi's slogan of 'Swachh Bharat' the Clean India is hollow. It becomes clear that the slogan was given only to counter the growth of Aam Aadmi Party. Though today the Dera Head had issued a statement that he is non-committal on support to BJP but the statement is more confusing while the earlier statement for support was unambiguous. Sirsa-based Dera Sacha Sauda may throw its weight behind the BJP for the Assembly poll going by developments during Prime Minister Narendra Modi’s rally today. Modi started his speech with an account of his previous visits to Sirsa at the time of the Dabwali fire tragedy and to seek the blessings of Dera Sacha Sauda. Hundreds of dera followers seated in a particular section of the pandal responded with thunderous applause. Modi went on to speak about the efforts of the dera to clean cities and praised the organisation amid even louder claps. Modi’s praise comes close on the heels of visits to the dera by Union External Affairs Minister Sushma Swaraj and party’s state campaign in charge Kailash Vijayvargiya earlier this week. 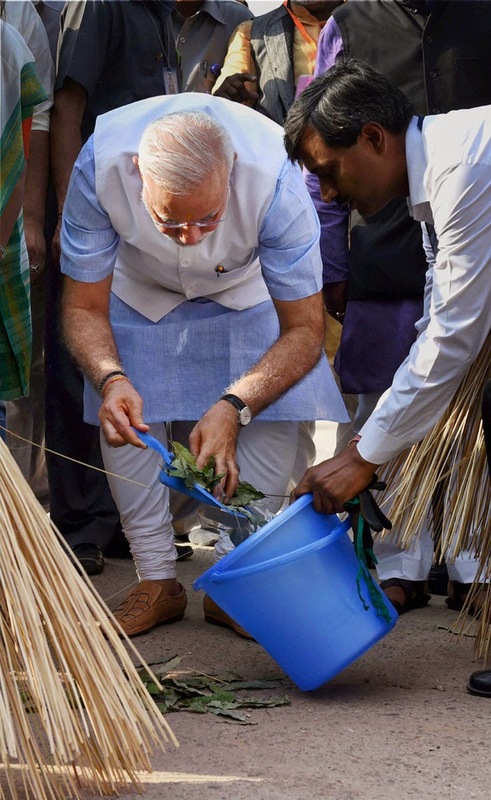 Recently, dera chief Gurmeet Ram Rahim Singh had praised the PM’s sanitation drive and said that he was doing “amazing things” for the country. Interestingly, when Modi spoke about the dera, he referred to Shah Mastana, the sect’s first head, and did not mention present chief Gurmeet Ram Rahim Singh, who is facing criminal trials before the CBI court. However, Modi’s reference to the dera is considered a significant development, as senior leaders, including CM Bhupinder Singh Hooda, have never referred to the dera in his speeches, ostensibly because of the controversies as well as the backlash it can attract from Sikhs. A source said the dera yesterday told followers to reach in Modi’s rally in large numbers. The Dera has been impacting polling trends in the area since the mid-nineties after Gurmeet Ram Rahim Singh took over. While its followers are spread across almost all segments, the religious sect is said to influence results in nearly 45 constituencies. It is due to these numbers that political leaders have been making a beeline at the dera ahead of the poll. Those who follow the dera’s moves closely say the Assembly poll is more important for the sect than ever before. The Congress, which benefitted from its decisions in the past 10 years, seems in doldrums after the Lok Sabha result. Dera Sacha Sauda spokesperson Pawan Insan, however, expressed ignorance of any directive to the dera followers. Regarding possibilities of backing the BJP, Insan said only the dera’s political wing could take a decision in the regard. “The managers of the political affairs wing are in the process of finalising their strategy for the poll,” he said. Sirsa-based Dera Sacha Sauda has extended support to the BJP on all 90 seats of the Haryana Assembly for October 15 elections. Members of the political affairs wing of the dera today fanned out in all 90 Assembly segments of the state to convey their decision to dera followers. The dera’s political affairs wing organised a religious congregation near the Sirsa Municipal Council office this morning and decided to support the BJP candidate from Sirsa Sunita Setia. She was invited to the congregation. Soon, reports came from Ellenabad, Rania, Dabwali and Kalanwali, where the dera wing extended its support to Pawan Beniwal, Jagdish Nehra, Dev Kumar and Rajinder Desujodha. In Fatehabad also, the dera announced its support to BJP nominees Swatantar Bala Chaudhary, Sunita Duggal (Ratia) and Subhash Barala (Tohana). “We have taken the decision to support the BJP on all the 90 seats of Haryana to end corruption and ensure development in the state. When people across the country are looking towards the BJP to bring a change in governance, dera followers cannot remain aloof,” said Jasbir Singh, a spokesperson of the political affairs wing of the dera. “We supported the Congress in the 2009 Assembly elections, but the Bhupinder Singh Hooda government was a disappointment. The government failed to check corruption, which was at an all-time high during the past five years. The development was also limited to a particular area,” Jasbir Singh alleged. He said the decision to support the BJP has been taken to ensure all-round development of the state. 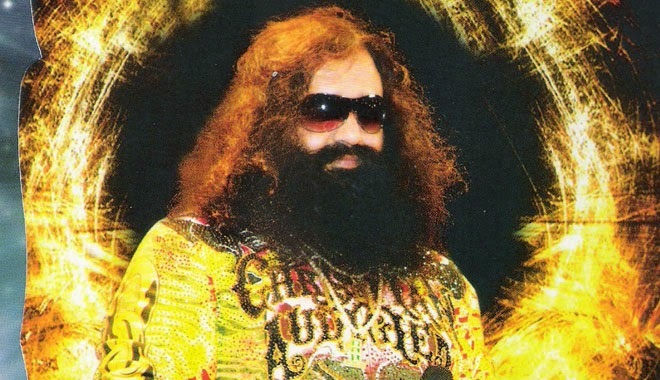 The dera has 60 lakh followers in Haryana that comprises nearly 45 lakh voters, he said. Jasbir Singh said dera followers can influence the election result in at least 60 segments. Sirsa, Fatehabad, Kaithal, Kurukshetra, Karnal, Panipat, Jind, Ambala, Sonipat, Bhiwani and Hisar districts are considered strongholds of the dera. The drea followers’ concentration is thin in districts close to the NCR such as Faridabad, Palwal, Mewat and Gurgaon. The dera’s decision two days ahead of the polling is significant for the BJP, which is aspiring to form the next government on its own in Haryana. 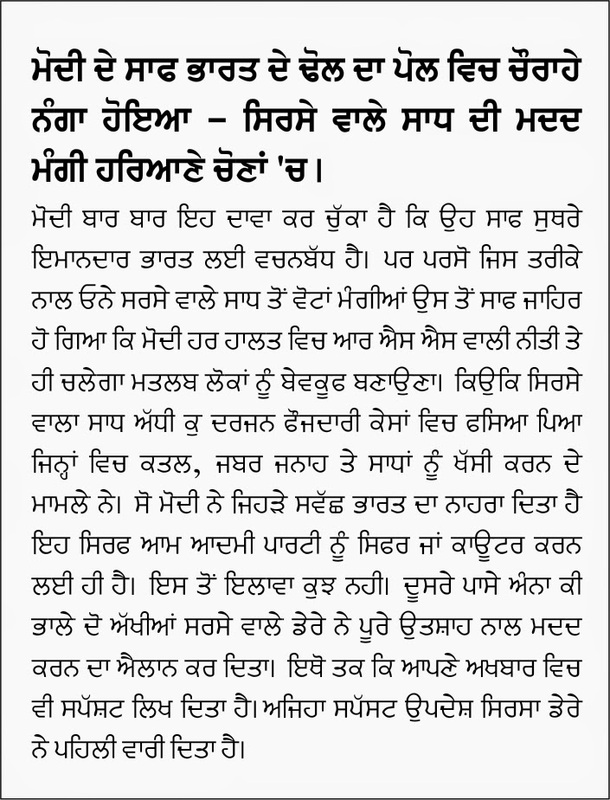 It is a setback to the Congress which had been the beneficiary of the dera’s vote bank for the past 10 years. When the Dera found that its support to BJP was extremely embarrassing the dera head today the 14-10-14 issued a statement to one Janta TV that his support was for clean India. But this statement was more confusing against a clear order issued through its own official the Sach Kahu newspaper.